Would you believe us if we told you Uryu was woven from recycled bottles? You should. This flat weave rug is a more conscious choice, without scrimping on style. Uryu's an easy way to add pattern to your room without overwhelming it – the colour blocks are wide and simple, in muted colours. A contemporary choice. 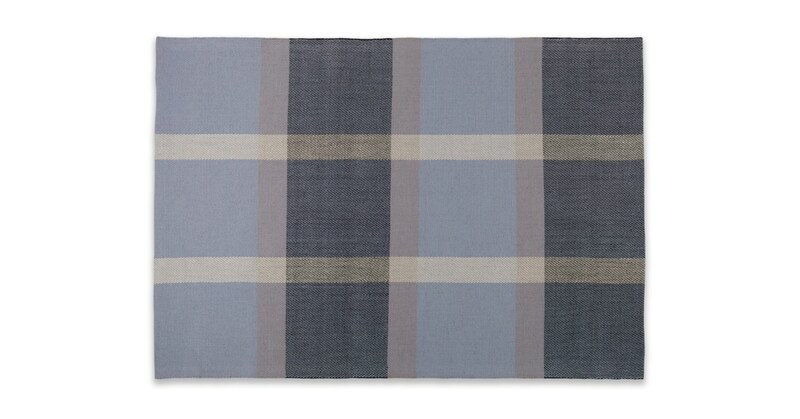 The plaid-effect colouring and weave in grey blue is one reason to pick Uryu. But even more appealing? It can be used both inside and outdoors.